The book that defined the liberal arts chemistry course, Chemistry for Changing Times remains the most visually appealing and readable introduction on the subject. The Thirteenth Edition increases its focus on student engagement - with revised "Have You Ever Wondered?" 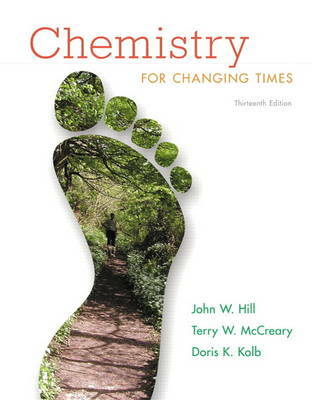 questions, new Learning Objectives in each chapter linked to end of chapter problems, and new Green Chemistry content, closely integrated with the text. Abundant applications and examples fill each chapter, and material is updated throughout to mirror the latest scientific developments in a fast-changing world. Compelling chapter opening photos, a focus on Green Chemistry, and the "It DOES Matter" features highlight current events and enable students to relate to the book more readily.